I have naturally dark brown hair, which means I can't change my hair colour all that much without the use of bleach. I have, in the past, coloured my hair a few times, and even though the colour doesn't change too drastically, it adds that shine back into the hair and just makes it look a lot healthier. I haven't had any really bad experiences with boxed hair dyes (although I've had friends that have reacted badly to them) but it's not a process I usually enjoy. I find it messy, time-intensive, and the smell is usually quite off-putting too. 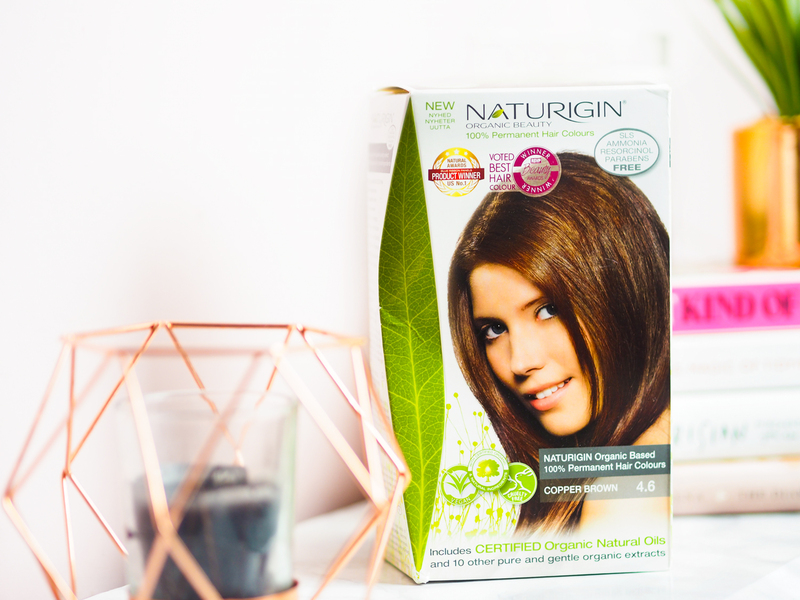 Naturigin is a brand that first came on my radar back in February at the Blogger's Hangout event (which you can read about here). The girls had flown over all the way from Denmark to share their product with us bloggers, and it was a brand that really stuck out in my mind as the girls really took the time to talk through their ethos. 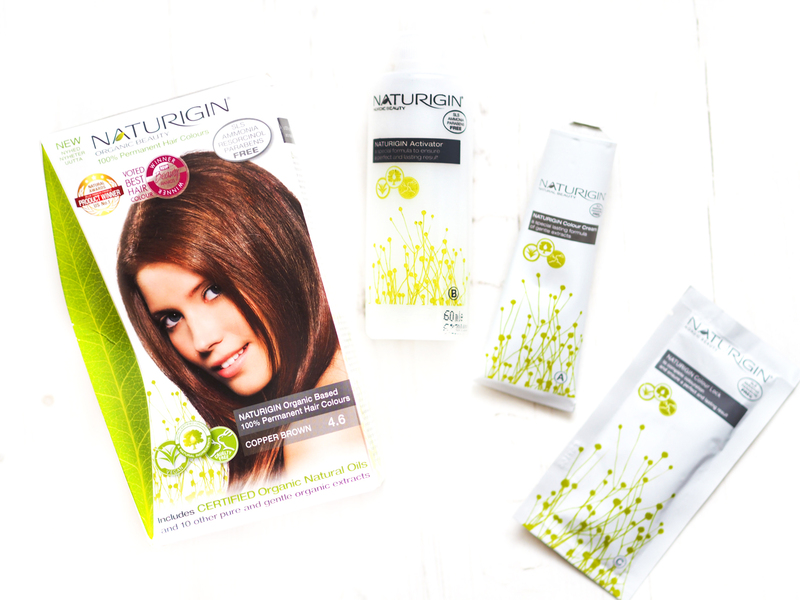 Naturigin is a brand that produces organic hair colourants, as well as a range of hair care. Chemicals in hair colourants can cause allergic reactions, as well as damage your hair. More shockingly, they can be carcinogenic and even have adverse effects on unborn babies. What really stood out to me about Naturigin is the fact that their dyes are as natural and safe as they can be. They are all ammonia, paraben and SLS free, and ingredients are plant-based. In fact, Naturigin's dyes are even cruelty-free and vegan! The product was developed after founder, Mette Lykkegaard underwent treatment for breast cancer. She realised that her regular use of toxic products like hair dyes could have contributed to her illness, so she and her family underwent a lifestyle change in order to minimise their exposure to carcinogens. Two years after the news that she was cancer-free, Mette fell pregnant with her first child. 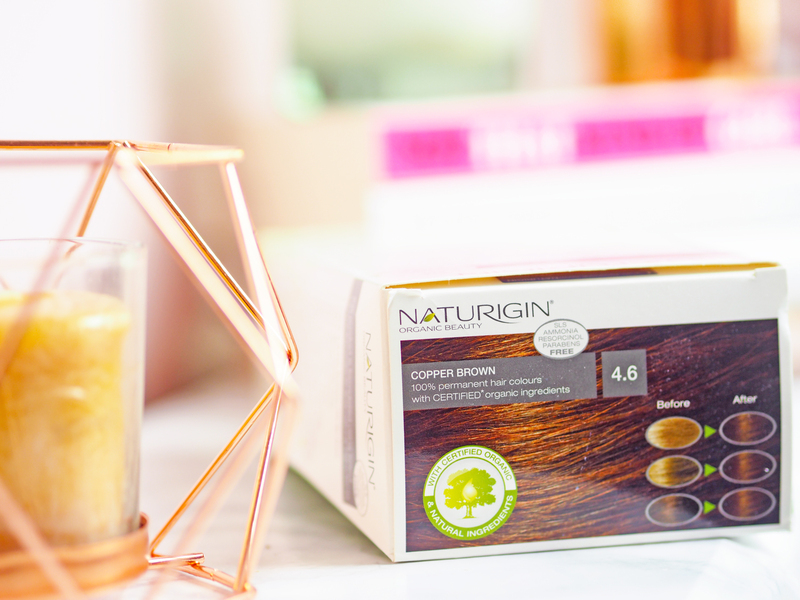 She teamed up with her husband Stig with the idea of developing a range of natural, certified organic and sustainable beauty products and Naturigin was born. The brand name comes from the combination of the words Nature and Origin. Their signature logo is the green leaf, which ties together the trinity of the environment alongside the wellness of body and mind. The dyes are formulated with a myriad of plant oils that help naturally nourish the hair. The formulations makes for an extremely gentle dye, making it perfect for those with sensitive scalps. I have a small patch of dry skin on my scalp, and I've avoided using traditional dyes for a while so as not to cause irritation. Despite the natural formula, there is no compromise on the quality, giving rich colour and a glossy finish. 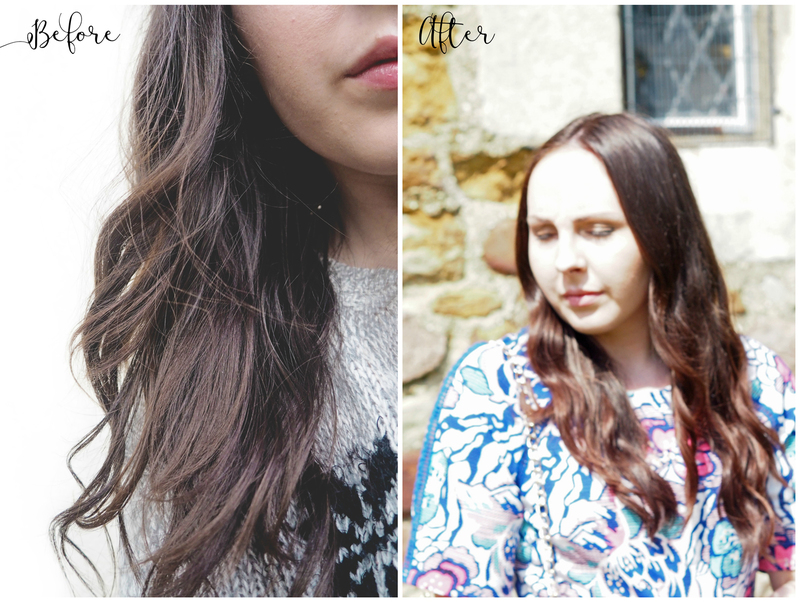 My hair felt really healthy, and it still felt like my hair, rather than feeling like it had been chemically treated. There are currently 19 shades in the range, and after much deliberation, I chose the shade Copper Brown 4.6* (£7.99). There are some really useful guides and videos on the website, which proved really helpful, and I also researched reviews and looked on the brand's Instagram for photos of each shade. The process was easy to follow, relatively mess free and best of all, didn't smell at all. One of the things that I dread about using hair dyes is the smell, and the feeling of literally not being able to breathe despite having all the windows open. The thing that surprised me the most about the dye was the fact that there was no conditioner. One of the things that I actually look forward to the most is the little sachet of conditioner, as it's always super nourishing. Is that sad? Yes, yes it is... In its place was some kind of foaming rinse. It was effective, but I felt like I still needed a conditioner afterwards. The brand do stock their own range of shampoos and conditioners, made for prolonging the colour. When I rinsed off the dye, it left a very natural colour. I was a bit worried it would be a bit too orangey, but I love the subtle reddish tint it left in my hair. The photo (above right) isn't that great a quality, but it really does show off the tint of the dye, which only really shines through in the sun. I actually vlogged when I was colouring my hair, so if you want to see my initial impressions, you can check that out below (6:18 - 8:07). Naturigin also featured in my favourites this month, so you can watch that here (another cheeky plug!). I'm so so impressed with Naturigin, and I couldn't recommend it enough. It was easy, fuss and smell-free. It isn't too pricey, although it isn't as readily available. You can order from the Naturigin website, Lloyds Pharmacy and Simply Natural, an Irish brand that ships to the UK. They do have a good range of shades, but it quite limited for those with darker hair. I'd love to see a more purpley brown in the range as that's my favourite for autumn. I do appreciate that brighter, more out-there colours would be more difficult to create with organic ingredients. If you're sticking with a natural shade, this is probably the best it gets for at-home hair colour. *This post features PR samples kindly provided by Naturigin in order to facilitate this review. #EastMidsMeetUp: Planning, Event Day & Feedback!